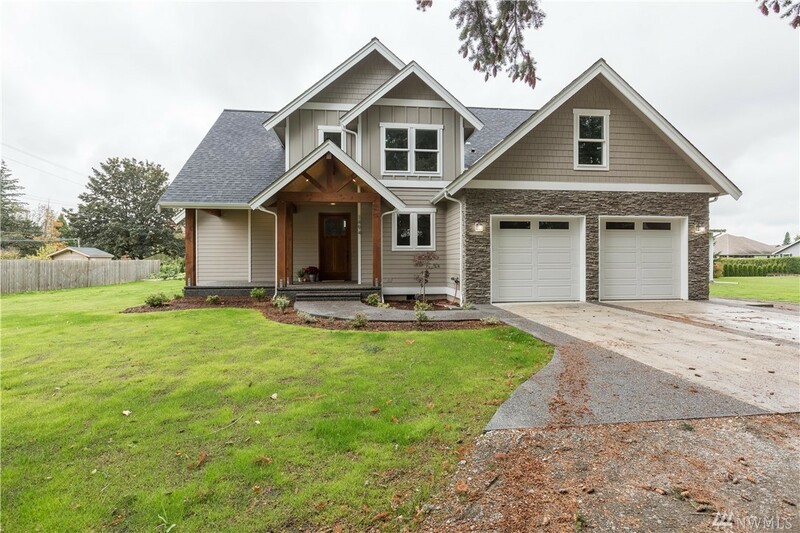 Gorgeous NEW custom home on extra large town lot w/hobby shop right in the heart of west Lynden. No expense spared w/giant covered front & back patios, central vac, sparkling gourmet kitchen open to vaulted living room w/stone fp, huge windows galore, beautiful lam wood flooring on entire main level & more! Spacious master suite has patio access & dreamy bathroom w/soaker tub, fully tiled shower & giant w-in closet. 3 spare beds, bonus rm & full bath upstrs complete this great layout.